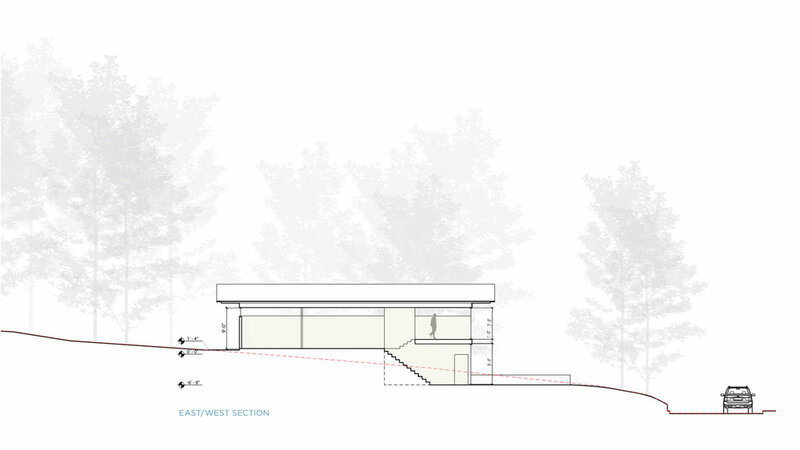 How do we design flexibility into a modest, passive solar home? The home was planned as a guesthouse with additional space for a woodworking, workout, and home-office. Over time the Owner wanted the ability to change the interior configuration and use it fully as a traditional home. To accomplish this we utilized a simple post and beam structure to allow the interior layout to change as desired. Passive sustainable strategies are implemented throughout to reduce energy usage. These include proper orientation for passive solar and ventilation, increased insulation, and efficient mechanical systems. A solar panel array on the roof provides most of the homes energy needs.